Google for Education has this excellent free handbook to help teachers and educators with their professional growth. It provides interesting resources and materials designed specifically to empower teachers and transform their teaching strategies through the effective use of technology. For instance, the section on Training and Courses, which we want to bring to your attention in this post, features a number of key courses for teachers, IT administrators and trainers. All of these courses are available at Google for Education Training Centre. Here is a short overview of what to expect from these courses. 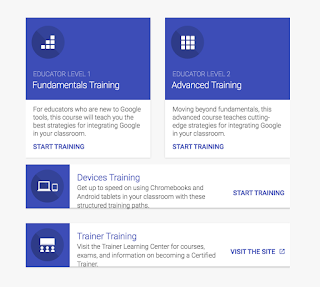 1- The Fundamentals Training: this is very helpful for teachers new to Google tools. 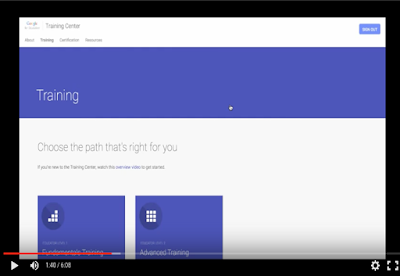 2- Advanced Training: this one provides advanced tips and ideas on how to make the best of Google tools in your instruction. 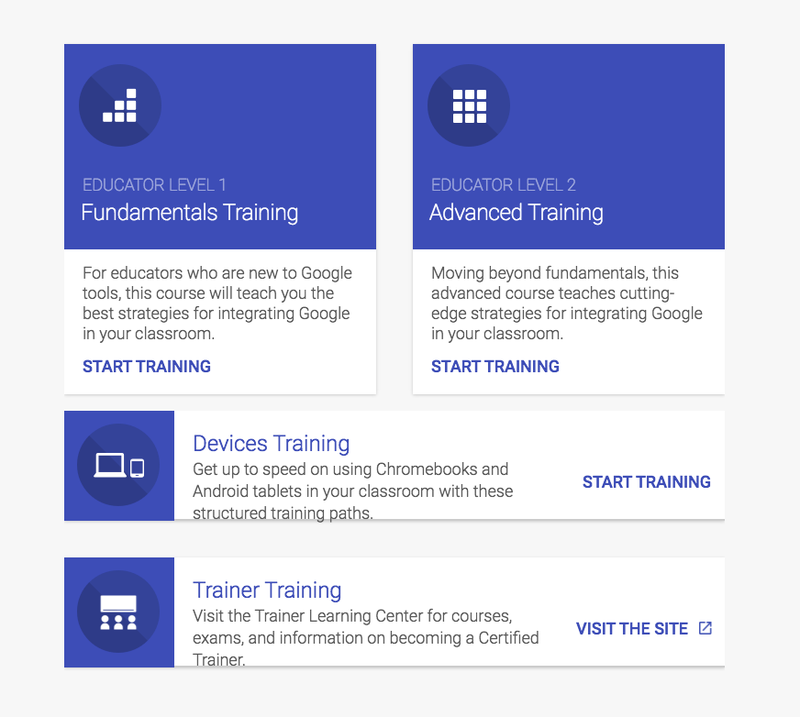 Each of these four sections provide a variety of engaging courses accompanied with videos, activities and several other materials to guide you through the path of a effectively using Google tools in your teaching. Watch the video below to learn more about Google for Educational Training Centre.